(2/23/2016) --- Hello everyone, thank you very much for your last comments on my Rick and Morty: Pocket Morty's Theory which was my first time writing something towards more pop oriented. This is just a theory of mine, nothing else, in which a little bit of entertainment is mixed with some knowledge in order to create an explanation for a game event or a setting. 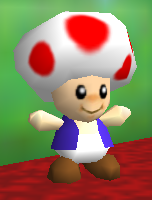 - When Mario finally reach inside the castle he is greeted by Toad who explains that Bowser kidnapped Peach again, stole 120 Power Stars and trapped everyone inside the castle walls. 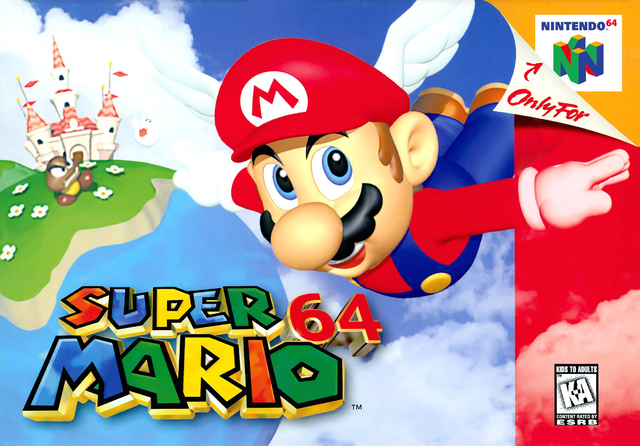 - The game itself is quite charming almost 20 years later, in which also introduced the idea of 3D concept into the home consoles to the players. Yes, the idea of having stereoscopic elements in video games is not new. It goes as far as the 1960's in which the idea of entertainment was explored with The Sword of Damocles in which technically virtually reality was invented by Dr. Ivan Sutherland. There's always that hand between science fiction, physics and technology that goes hand in hand at the moment of creating entertaining. What it is fantastic about video games is that they can mix a complete set of real life theories into their games mechanics, what it gets my attention within Super Mario 64 is how in a subtle way the concept of Real Coordinate Space is applied in such a joyful fashion, but not only on the Topological level but also concepts from Euclidean Space and the geometrical concept of the Tesseract. Why I am mentioning the Hypercube as beginning? To start the game models the hub or central point of navigating through the game connects on different coordinates, in which we could consider 0 as the zero object vector if we talk about in algebraic concept. From that point where Mario arrives in the castle we could consider the cross-polytope as the starting point to navigate through the adventure. As we explore what Boswer did in order to kidnap Peach we could consider there is no exit or no entrance; we could navigate perfectly back and forth through the different points in time and space, but time itself won't fold backwards or way too forward thus creating a paradox. Time within the game is fixed and will go continuously within certain events that are related through the story line. The paradoxes will appear whenever the player would have the desire to repeat a course or a certain specific level, but since time is fixed as a continuous event, no matter what actions you take when you repeat a mission, as soon you clear it you won't be able to alter the past and the course will show any starts you obtained as shadows of who they were. Let's discuss this option within the concepts of Discrete Time and Continuous Time with the first level Bob-Omb Battlefield . The Bob-Omb Battlefield is the first of 15 levels inside the game, each level offers a unique perspective in which how time develops inside the painting or to better say it inside the four-dimensional space that Bowser created inside each paint and how those paintings connect to different physical points of space in which Mario can interact with but as soon as he leaves his own presence times inside those paintings resets. Using Big Bob-Omb, the King of the Bob-Ombs as an example. He will always be there whenever the character comes back but his interactions will change depending on which character goes. In Super Mario 64 DS Big Bob-Omb will have a different dialogue with each character, but as soon the player completes the course his star will be gone. In Mario 64, there is only one set of dialogue that reacts to the plumber but any previous actions will be just shadows. Every single step the plumber takes could be measured within an exact description of what the player does. Also each scenario exhibits as it was mentioned a reference of an Hypercube, not only where time folds but also we could see how the topography of each course acts as vertex-first perspective projection. To have an idea; the player can see the entirely where he is trapped just by going to a high point in each scenario and look around the sky and see the coordinate dimension that conform each one of the courses. It is just beautiful to see some of those dynamics; it gives even the idea that Mario was already trapped inside Bowser's jaw as soon he placed a foot in the courtyard of the castle. As the outside of the castle seemed to be trapped also inside some form of Tesseract net. The castle being in the middle, the courses inside but as well being distributed on each side of the cubes and eventually Bowser on the top. Another reason on why I say the entire game is one big Hypercube is because Bowser itself seems to avoid death several times as each painting as their own time and sets of rules. In which Bowser will be alive and dead after each defeat but yet he seems to avoid death several times just by escaping from the each cube or paint. The game itself can be an endless nightmare in which Bowser just created an impossible trap to escape in order to lure and kill Mario. In which probably there is an existential nightmare as which each game over, which is dead there is just a mere beginning to an endless time loop. May I make a video on this theory and maybe look into it a bit further? Dear unknown, if you acknowledge me as the author please go ahead, you are more than welcome. Write me back with your name, thank you.